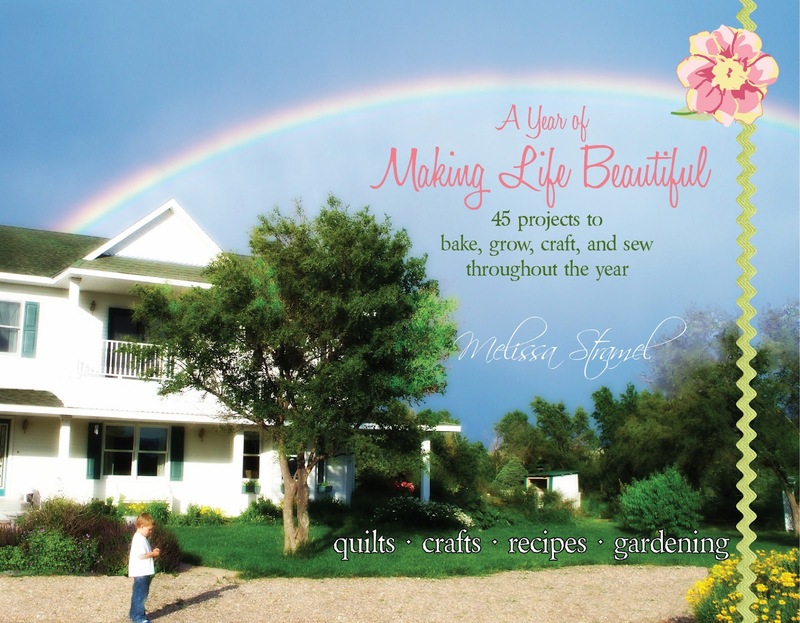 The 85-page book includes 45 unique projects– 12 quilting projects, 4 exclusive embroidery patterns, 14 recipes, 10 crafts, 4 other unique sewing projects and water bath canning! Seriously, that’s a little bit of eeeeverything. 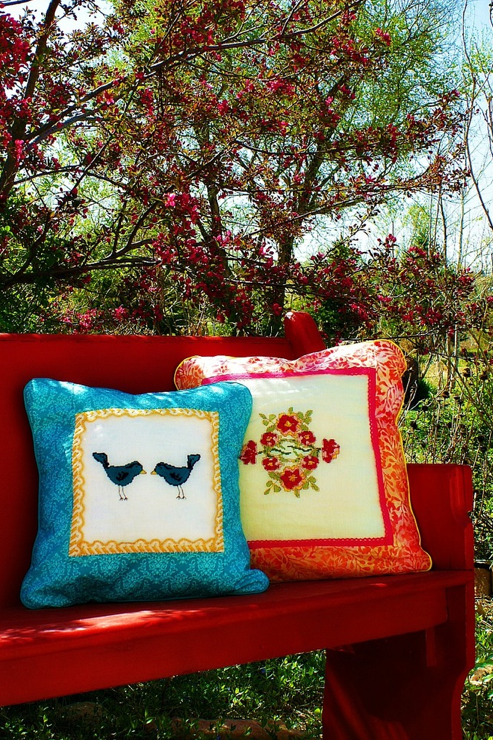 It’s available from MelissaStramel.com and Quilt Woman – if you’re not one of the four winners, that is. 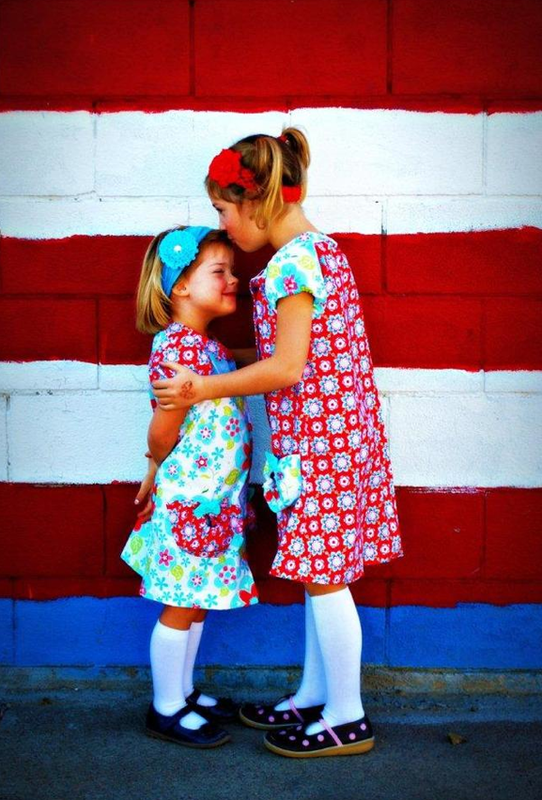 And you’ll find the pattern for this “Cherished” dress pattern in sizes 2T to 10. Patriotic color palette entirely up to you. There’s also a matching pattern specifically for 18″ dolls– and in lots of her dress patterns! We can’t be the only ones that have a hard time remembering to take the reuseable grocery bags into the store, right? 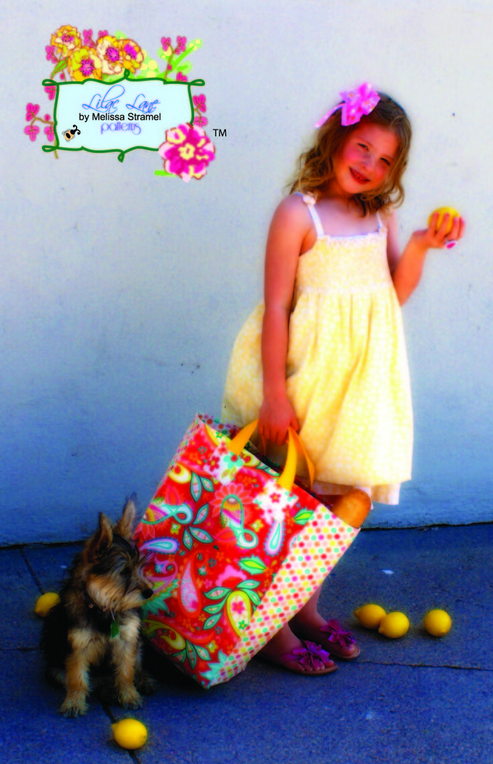 Wondering whether making one as cute as the “Bountiful” bag would make it easier to forget the forgetting. This is just a *little* of what Melissa does. Still no idea how it all happens, but you can read more about these and her recent trip to Quilt Market and her upcoming book tour here on her blog! I just wanted to drop a little note to let you know how much I adore your blog. It along with some of my other favorites has inspired me to start a blog of my own. I know you’re super busy but I would just love it if you could check it out and if you have time to let me know what you think. I’m just getting started so any advance you could give would be very much appreciated. Here’s a virtual high-five!!! !